Robo Fish is a pet fish with a difference - it's a robot...not that you'd notice! This cool little gadget is bound to take over the pet fish world with its remarkably life-like swimming skills. 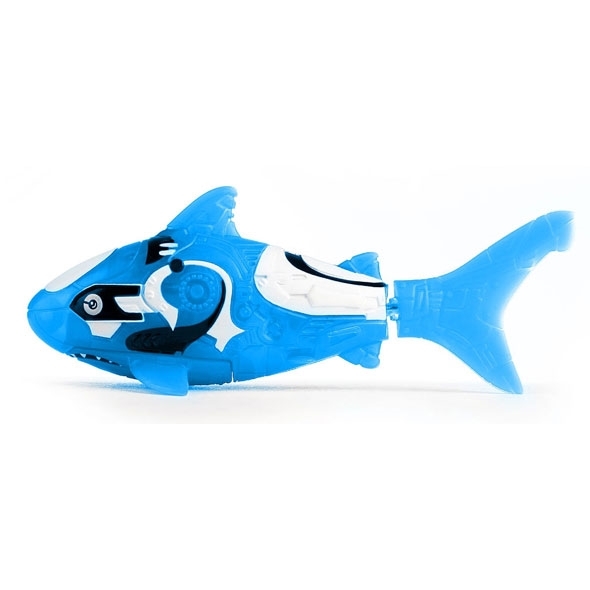 The best part about Robo Fish is that it is water-activated and consequently out of water-deactivated, so when you pop him in water the little guy goes for it, and when you're ready to put him away you can take him out, dry him off and he's ready to go next time. Robo Fish comes with spare batteries so you get plenty of awesome swimming time! 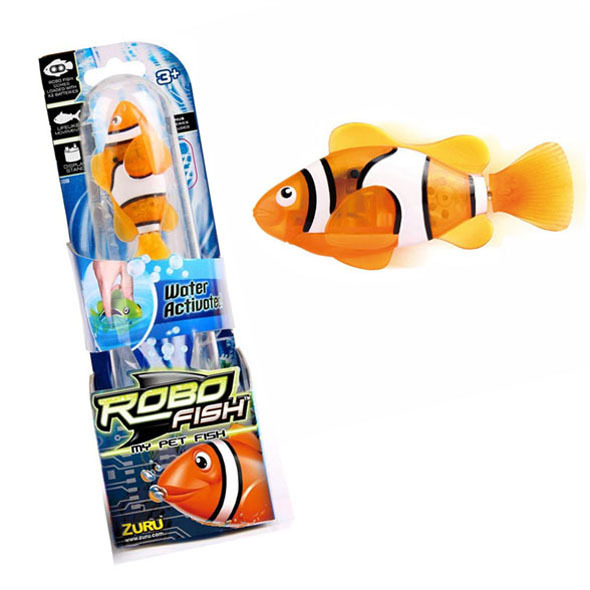 Robo Fish also comes in a variety of colours and styles - why not collect them all and start a tropical fish tank? Please note, each pack contains one Robo Fish. If you want a bowl for your Robo Fish, try the Robo Fish Play Set, or the Robo Fish Bowl Set. We also stock, Robo Fish Food 12 Pack of Batteries - which are a must so you can keep your pet fish alive forever! If you want to make your Robo fish tank look even more life like, you need the Robo Fish with Castle and Coral! 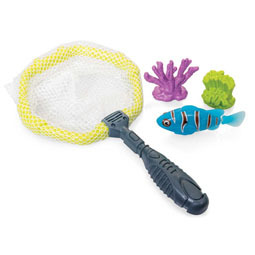 The Robo Fish with Net and Coral is also another must have, since you need something to fish your pet Robo fish out of the water don't you! 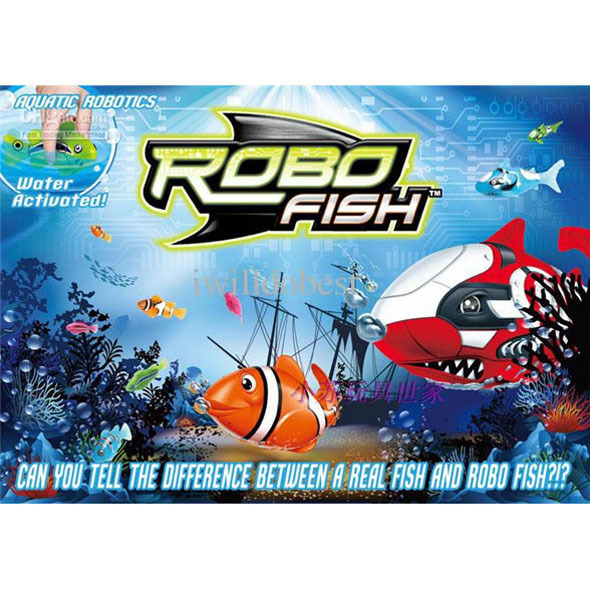 Robo Fish is the nifty, cool gadget that comes to life when touching water with life-like fin to tail swimming movements! Just take out of the water when you've had enough and put Robo Cop away. Includes a display stand for you to show off your collection! This is my son's third robo fish - he chose the blue shark this time! Fantastic when used in a bath or in the robofish bowl set! Great service Gadget Inspector!